In Performance Auto & Sound Oct/Nov 2011 issue, pgs. 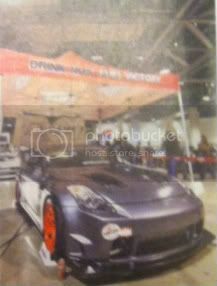 018 & 022, there is an article about Motion Auto Show, LBC Show 2011. Congratulations to SoCal Chapter's Dan's 350ZTT (pg. 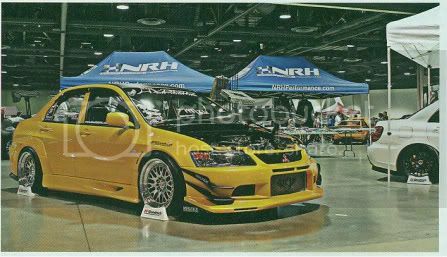 018) in NOS/Hybrid Booth, LV Chapter's Keoni's EVO IX (pg. 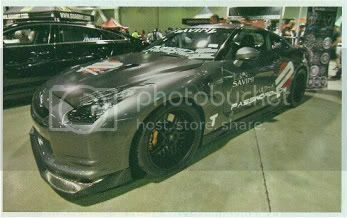 022) in Mizu/Hybrid Booth and Team Hybrid/Savini/Password JDM's R35 (pg. 022) in Savini/Hybrid Booth for being shown in the event coverage. Lastly, PAS said on pg 018, "...With car clubs like Hybrid, ....., and .... there is no doubt the competition was fierce. Once again, we were named first and the three clubs metioned took top honors.